← Statistics and WTO Litigation — Helpful for Policymakers and Better Governance. Busy Summer for International Trade News — EU, China, WTO, G-20, Solar Panels, §337 Apple-Samsung (ITC) ……. This summer has seen a broad range of significant development in global trade. This ranges from the first case brought against Russia in the WTO, developments in the G-20 and the OECD addressing global tax and trade issues, EU – China tension over solar panels, and the President for the first time in 25 years reversing an ITC decision, over a Section 337 determination. The EU has filed the first case against Russia in the WTO. This concerns the Russian recycling fee imposed on auto imports. This disappoints EU officials since they viewed Russia’s accession to the WTO as anchoring it to a more predictable, rules-based trading system. “EU Takes Russia to WTO Over Car Fee.” Wall Street Journal (July 10, 2013) and “EU Brings First Russia Case at WTO.” Financial Times (July 10, 2013). “EU Files Dispute Against Russia.” WTO News (July 9, 2013). Japan subsequently filed an action also. “Japan Files Dispute with Russia.” WTO News (July 24, 2013). The U.S. and China have agreed to restart negotiations over a new bilateral investment treaty during the annual strategic economic dialogue talks this summer. This could lead to international rules governing direct investment into both China and the U.S. and alleviating tensions in this area. “U.S., China to Pursue Investment Treaty.” Wall Street Journal (July 12, 2013). 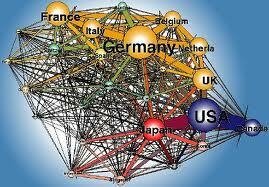 The 2013 World Trade Report was release by the WTO on July 18, 2013. WTO News (July 18, 2013). It assesses the factors shaping the future of world trade and concludes that if properly managed international trade will further increase global prosperity. It also acknowledges that the internal governance system of the WTO may need to be somewhat revived. The G-20 finance ministers in Moscow approved a plan, first proposed by the OECD, to be further consider developing a multilateral agreement addressing corporate taxation of multinationals. The issue of reforming the international tax system to better track real economic activity is important to ensure that tax laws don’t impeded the growth of international trade. Changes brought about by online transactions and cyber space has created significant issues in determining where transactions take place. “G-20 to Tax Global Tax Loopholes.” Washington Post (July 20, 2013). “Tax Reform for a Changing World.” Financial Tax (July 22, 2013). A new study released this July by the WTO and written by Professor Craig VanGrasstek presents, in part, a statistical assessment of WTO litigation relying upon data compiled by the WTO. Chapter 7 — “Dispute Settlement” in C. VanGrasstek, “The Future and History of the WTO.” (2013). The EU and China have settled the solar case and has raised issues concerning the common or external trade powers of the EU. “Frustrated and Outflanked.” Financial Times (July 31, 2013). Interesting editorial by the Wall Street Journal critical of “exclusionary orders” as the only remedy in Section 337 cases as in the Samsung – Apple case over “standard-essential patents” in cell phone standards. Wants the President to overrule the ITC in this case. Generally critical of patent and intellectual property cases before the ITC. “The Smoot-Hawley Reprise.” Wall Street Journal (Aug. 2, 2013). The President subsequently vetoed the ITC’s proposal. “Letter from USTR Michael Froman as to Disapproval of ITC Decision.” USTR (August 3, 2013). See also, “Policy Statement by Dept. of Justice and Patent Office on Standard-Essential Patents (SEP).” USDOJ (2013). Some have criticized the veto for undermining the U.S. hardline stance on IPR in pending trade negotiations and perhaps also impacting U.S. industries abroad, especially China. “U.S. Patent Security Push.” Financial Times (Aug. 5, 2013). The U.S. has won its case against China in the WTO concerning China’s antidumping and countervailing duties on the import of U.S. chickens. “U.S. – China Dispute 427.” WTO DSB 427 (Panel Report Aug. 2, 2013); “U.S. Wins Trade Enforcement Case.” USTR News (August 2, 2013). This entry was posted in Global Trade Relations and tagged EU-China solar panel settlement, EU-Russia trade dispute, G-20 and OECD tax reform proposals, G-20 Moscow finance ministers meeting, Section 337 cases and Samsung - Apple, statistocal analysis of the WTO / DSU cases, U.S.-China chicken case (2013), U.S.-China investment treaty. Bookmark the permalink.